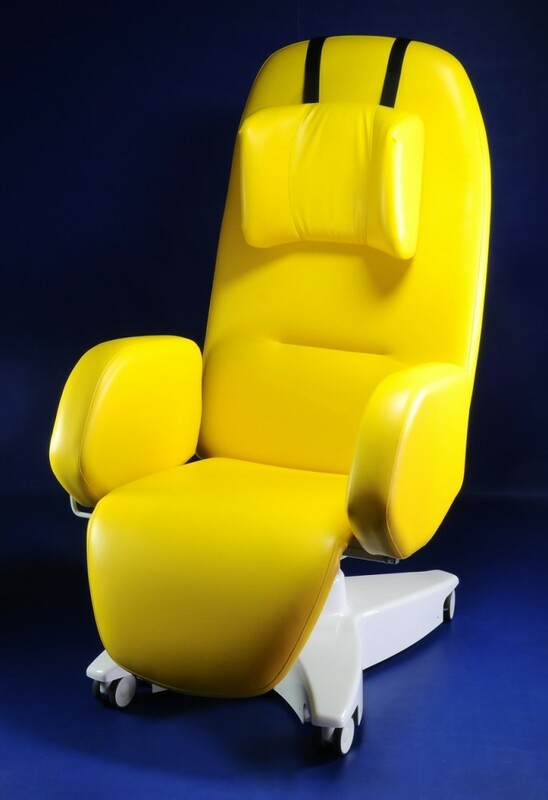 A very comfortable chair with soft upholstery and massive arm rests that make the patient’s standing up easier. Travelling version with Ø 75 mm braked wheels. The three-segment operating surface with a width of 500 mm is covered with artificial leather in a colour of your choice; it is divided into a backrest, a seat and a leg segment. 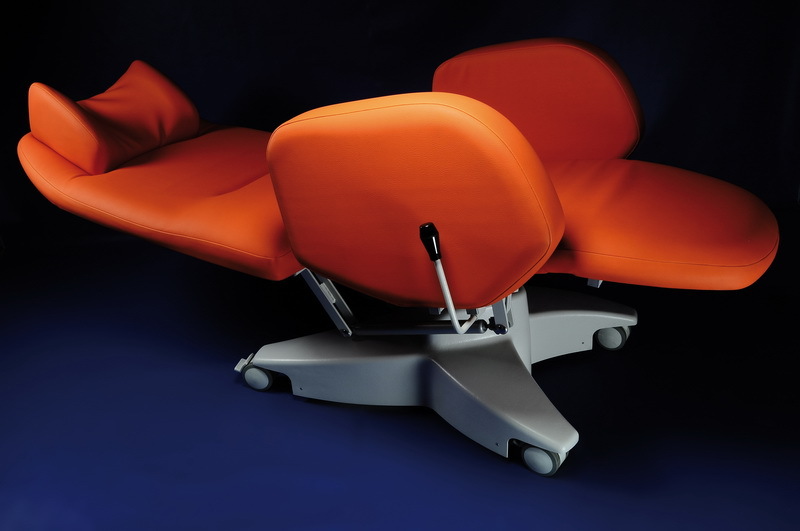 The seat with a slight backward incline has a height of 550 mm, which is optimal for getting on and off; the backrest includes a soft head support – wing chair. 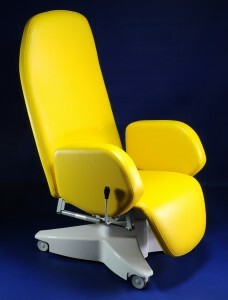 The backrest and leg segment tilt can be easily changed using a gas spring – it can be also controlled by the patient. 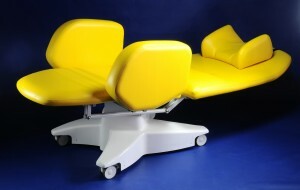 The build-in dimensions of the chair are approx. 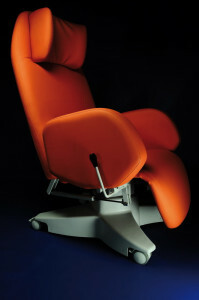 700 x 800 mm in the sitting position, 700 x 1 700 mm in the lying position. Carrying capacity: 150 kg, weight: 35 – 65 kg. 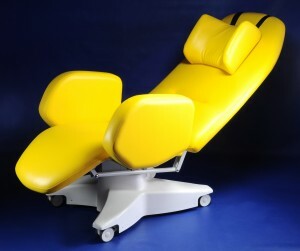 The back and leg segments are adjusted using a synchronous mechanism; manual control.